Are you ready to clean? No? I’ve found some great organizational printables to get you in the mood, or at least to help you get the house a little more organized! In this post, you will find Home Organization printables, Spring Cleaning Checklist, Free Printable Kids’ Chore Charts, Quick Clean-Ups Checklist, Free Fillable Cleaning Checklist, and Weekly Cleaning Calendar. Create a family command center to help stay organized. Don’t miss out on these 21 Back to School Homework Stations. There are also great printables to help the kids with school work and me with my work, such as the Free Organizing Worksheets, Printables, and Planners, Punch Your Way Through a Reading Chart, Free Printable Planner, Blogger’s Organizational Printables, Daily Blog Checklist, and Printable Tax Information for Your Budget Binder. If you need some help in the kitchen, check out the Menu Planning Form, Freezer Inventory, and Easy Grocery Shopping Checklist. Need some assistance with keeping the kids on track in the morning? Be sure to snag the Morning Routine Checklist and Weekly Routine Printable. The Cross Fit Workout Checklist will help you stick with your fitness goals. The Babysitting Checklist and Checklist: Emergency Info are essential to keep on hand in emergency situations. Of course we all try to keep things clean and ordered around the house, but sometimes the rest of life bumps household chores to the bottom of the list. If you are in a time crunch this free printable cleaning checklist will help you get your house tidy and party ready. Concentrate your cleaning efforts on areas where guests will congregate and use lemon or peppermint oil to add a fresh and clean scent throughout your house. Looking for new ways to keep your household organized and remind your family of important meetings, appointments, and sports practices? Take a peek at your upcoming week with this super organized free printable. A calendar gives you an easy-to-see schedule for the week ahead, and to do lists and to buy lists are the perfect place to track your thoughts throughout the week. You will never forget to pick up milk again! Search the web for spring cleaning checklists and you will probably find a plethora of monster cleaning lists with one hundred items or more. Although they are fabulous and possibly necessary, they can also be overwhelming. This lazy girl checklist for spring cleaning lists the cleaning tasks you can do quickly and will refresh your home for the year. Print and put up on your fridge for quick reference. If your children are learning how to read or practicing their reading skills, you know that it is an incredibly exciting time. With school, sports, and other activities it can be hard to remember to read every day. Encourage your kids to read on their own in a positive and fun way with this reading punch card! Let them punch a box for every book they read, then offer a little reward if they fill a whole card. The holiday season can be a really stressful time of year, but a little organization can help tremendously. 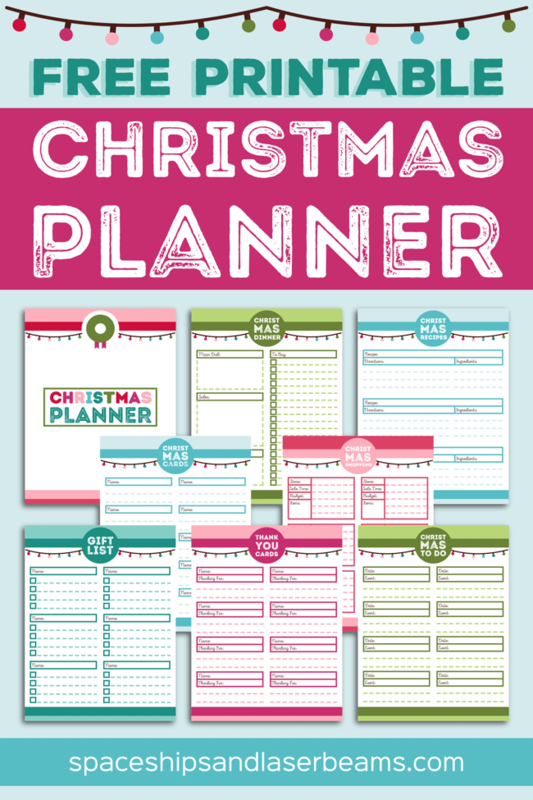 Keep track of your gifts lists, shopping needs and Christmas To-Do’s. There are also printables for Christmas cards, thank you notes and holiday menus. These lists can come in really handy during the hustle and bustle of the holidays and you will have more time to relax and enjoy time with friends and family when you are organized. Blogging is not easy and one really needs to be organized to be successful. This collection of organizational printables is perfect for crafters who blog, moms who blog at home, or anyone who needs to get their blog organized. The templates are all editable so that you can fill them out with your personalized information and goals. Keep track of your blog’s statistics, post schedule, expenses, earning or more. Throw all of the sheets in a binder to keep them all together. Brighten up the process of tracking kid’s chores with these excellent (and free!) printable chore charts. Chores give kids a sense of responsibility and work ethic, and these handy chore charts make it easy for them to tell what needs to be done around the house. These customizable chore charts make it easy to track your kid’s every day chores. Mark them with a simple check marks or have some fun with stickers! Ensure that you are doing everything you can to keep your little ones safe with this handy babysitting checklist. Print out the free checklist sheet then fill out your important safety information like emergency contacts, your children’s names allergies or medications, and important reminders or house rules. Go over the list with your babysitter then post it somewhere convenient like the fridge for quick reference. Plan out your family’s menu for the whole entire week with this easy printable menu planning form. The top half has a weekly calendar with space for breakfast, lunch, and dinner menus and the bottom has plenty of space to list all of the ingredients you will need to buy for your menu while grocery shopping. It is a pretty simple and straightforward menu planner that also looks great on your fridge or a magnet board! 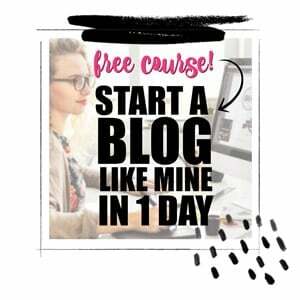 Want to up your blogging game? Want to start your own blog this year? This personal daily blog planner is easy to follow and lays out everything you need to remember in order to keep your blog organized every day. Focus your energy on important areas including social media pages, link parties, and weekly posts in progress. By the end of the year you will have 12 months of records to look back and reflect on to see how your hard work payed off. With a large freezer or stand-alone freezer, it is so easy to throw items in and then completely forget about food that falls into the deep, dark abyss. This freezer checklist will help remind you which foods are still in the freezer and need to be used up, and what you might need to stock up on next time you are grocery shopping. Keep it nearby, or post it right on the freezer for easy reference to what is stored in there! Help organize your pantry and your grocery shopping trips with this ultimate grocery checklist. Tape the printable list to the inside of your pantry cupboard or another cupboard door, then simply check the boxes next to your items as you run out throughout the week. When you get home from grocery shopping, tape up a new list and you are ready to rock and roll. This checklist is sure to save you a bunch of time and money. It’s easy for kids to get distracted in the mornings when you are getting back into the swing of your school routine. Make your mornings a little bit easier with this printable morning schedule complete with easy to follow graphics and instructions. It will help you set a consistent routine to make sure your kids brush their teeth, get dressed, east breakfast, and grab all of the necessary school supplies on time. The first thing every good household binder needs is a cleaning checklist. These checklists will help you keep on track and also stop you from accidentally repeating certain chores while skipping over others. Keep organized with customizable daily, weekly, monthly, quarterly, and annual chores that will leave your house spick and span. Three different versions also offer space to write your top goals and to do lists. ind your available time on the printable (15, 30, 0r 60 minutes), set your timer, and work your way down the list until your time is up. You will be surprised by how much you can accomplish in a short period of time! Keep the house chores efficient so you can focus on the general clutter in other rooms. This weekly calendar printable is a great way to remind you of the cleaning chores that need to be done around the house on any given day. Laminate the cute, chevron patterned calendar so you can post inside of a cupboard and use it over and over again. The checklist will help you reach your organizational goals and keep the house nice and clean. It can be really difficult to start a new fitness plan and stick to it. This printable workout checklist and planner will help you kick start your fitness journey with a simple six-week plan. Track your workouts for six days a week and remind yourself of key areas like your warm up, cool down, hydration, and motivation. The checklist is also super versatile, so you can customize the plan to exactly what works for you and your schedule. There are probably people out there that are totally on top of everything and whose taxes are already filed. Well for the rest of us, we are scrambling to get our taxes done. These cute printable tax information checklists will help you get organized in a pinch. Add them to your family binder or budget binder to keep track of general taxes, income taxes, retirement plans, medical payments, and more. Managing a busy schedule isn’t always the easiest thing to get a handle on. Organize your daily tasks, important appointments, work tasks and home chores with this free printable weekly planner. Keep it nearby for a reminder of what you should be doing when, and make yourself a goal to keep on top of your work and feel a little less stressed. Make this ultra-important worksheet the first one you print out for your family. This printable checklist will help you record your doctor’s phone numbers, emergency contacts, insurance information, and more. Make copies and post the list by every phone in your home in case you ever need it on a moment’s notice. We hope you will never need it, but if there is ever an emergency you will be glad you have all of the necessary information. Organize your home this spring with these great products gathered by the team at Spaceships and Laser Beams.